Bright and sunny - a lovely spring morning. River still very high though running clear and a couple of inches down on Sunday. 3 Chub; 5lb 14oz, 3lb 14oz, 3lb 6oz. 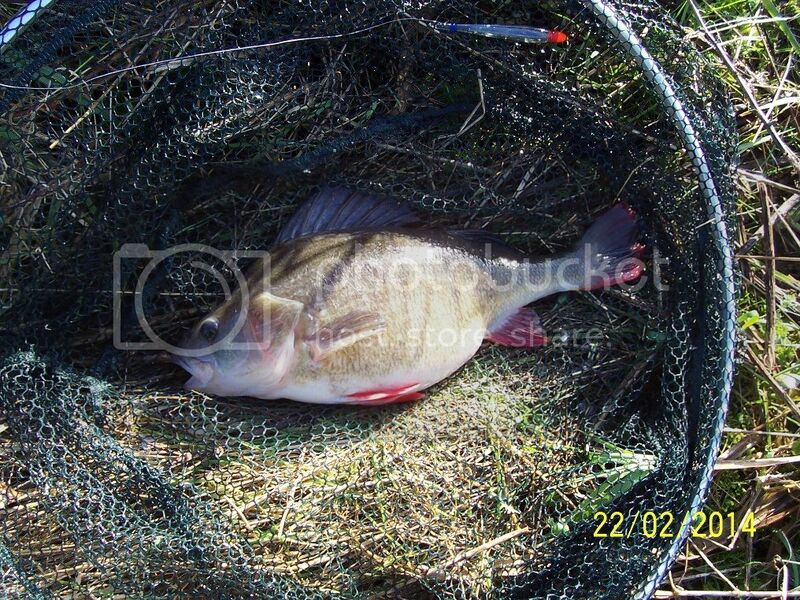 3 Perch; 3lb 1oz, 2lb 11oz, 2lb 3oz. Stonking session in the swim I fished on Sunday - though this time there was a bit more flow as the flood water is starting to run off. In truth I hadn't planned to fish here but Paul paid a visit during the week and had a couple of really nice perch (2-09 & a 3) so plans were changed! This swim always looked like it should have perch though until now Paul and I have only caught chub here. Even so with a bright sunny morning in prospect I didn't expect sport (if I had any) to last too long, as it turned out most of the fish came after 0900 when the swim was bathed in full sunlight! 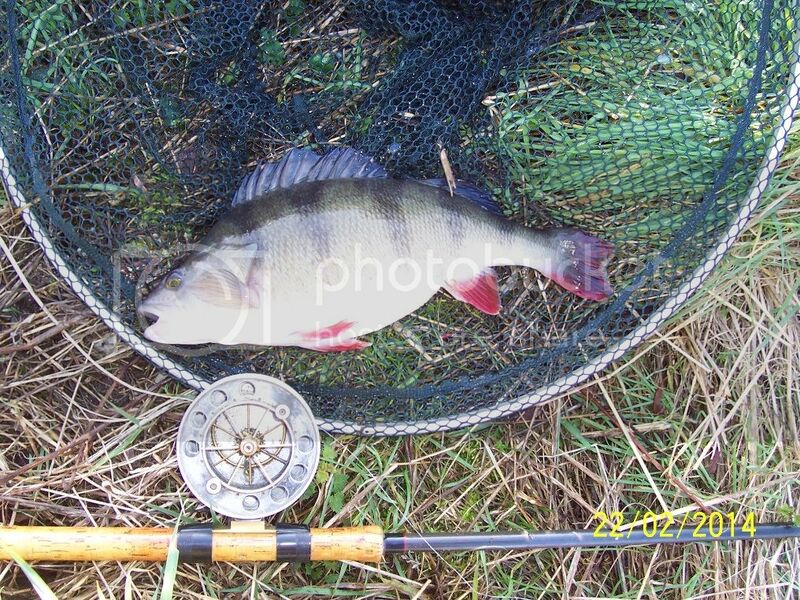 Smallest perch on lobs - everything else on trotted maggot. 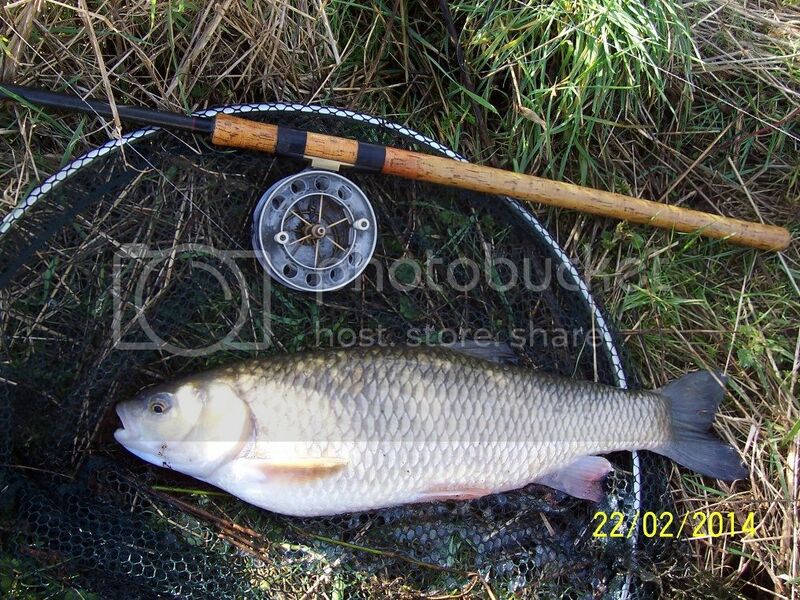 Biggest chub of the season. Just over 3 - as fat as a football. 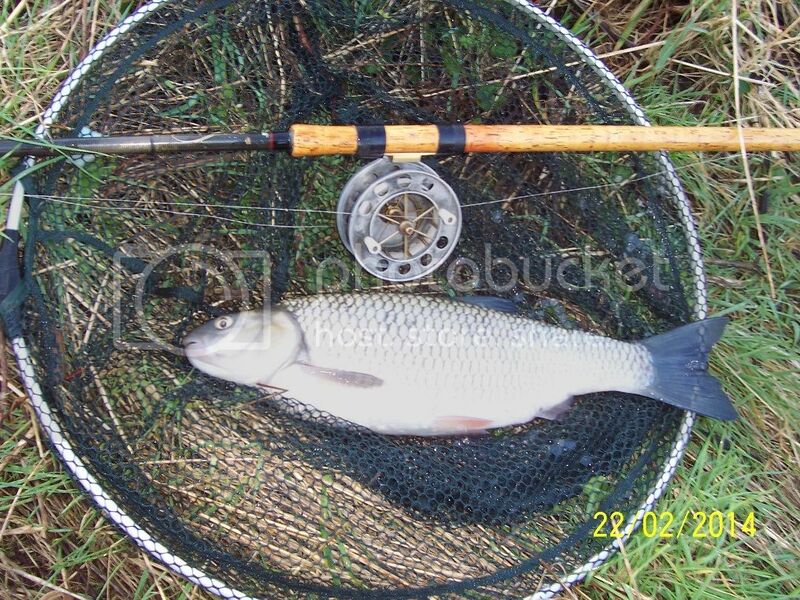 Very nice fish, good angling. Thanks for sharing.